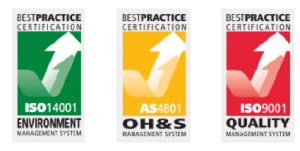 We maintain and continuously improve an Integrated Management System that complies with the requirements of the International Standard ISO 9001:2015. Our Quality Policy is applicable to our Directors, all employees and contractors and to any person or organisation that represents us or act on our behalf. This policy together with the measurable objectives and targets will be reviewed on an annual basis to ensure that it remains relevant and suitable to the operations of BriX Projects skilled labour hire.